Located on the southerly end of the Pauillac appellation on gravelly soil the estate forms half of a single Château Pichon-Longueville property divided in 1850, the other half becoming Pichon-Lalande [which is situated over the road]. 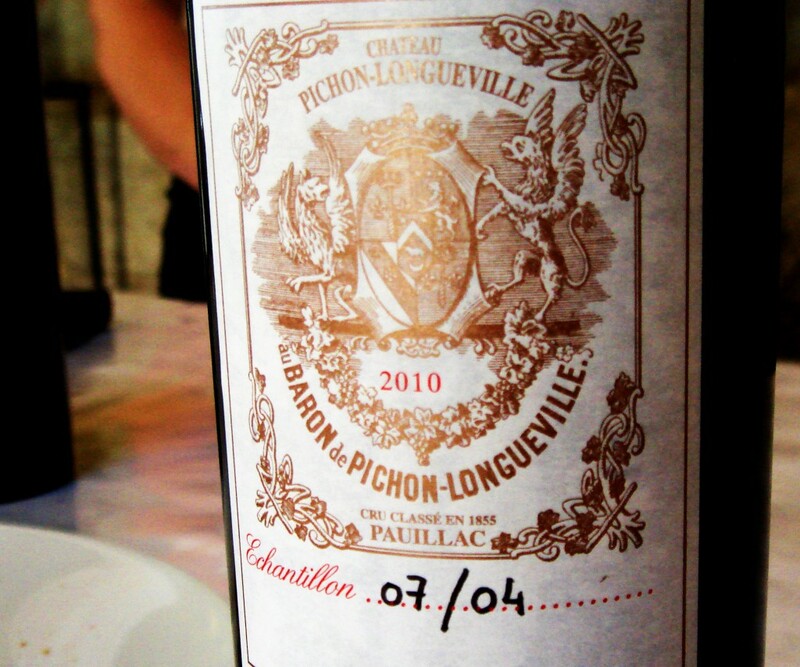 Also referred to as Pichon-Baron, Château Pichon-Longueville was behind Château Pichon-Lalande in quality but this hasn’t been the case since the 1990s. Today Pichon-Longueville produces extremely rich Pauillac with lots of concentration, quite bold in style with bags of flavour. The style is bigger and more masculine than Pichon-Lalande [because of the higher percentage of Cabernet Sauvignon in the wine]. By comparison to the first growths it is well priced for the quality, though by well priced I mean £600-£1000 a case for recent vintages. Second wine Les Tourelles de Longueville is pretty good and provides textbook Pauillac at a fair discount. The estate was owned by the Bouteiller family [Château Lanessan and others] but sold to the AXA insurance conglomerate in the late 1980s. They hired the exuberant Jean-Michel Cazes of Château Lynch-Bages to oversee winemaking and the vineyard and the improvement in the estate’s wines was dramatic. After Cazes retired, Christian Seely became the estate’s administrator and remains in charge today. For me, outside the first growths, this property vies with Château Pontet-Canet and Château Grand-Puy-Lacoste as one of Pauillac’s most exciting estates. Vineyard/Terroir: 73 hectares on Garonne gravel planted with 62% Cabernet Sauvignon, 35% Merlot, 3% Cabernet Franc. Winemaking/Elévage: The wine spends 15-18 months in barrel.